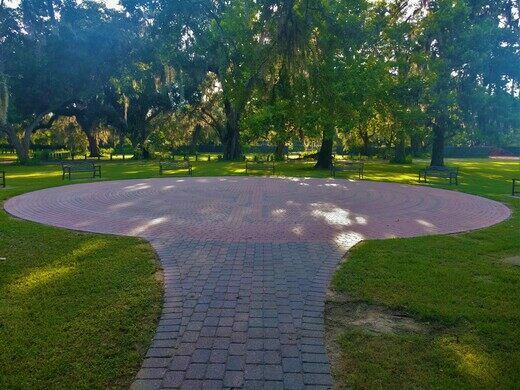 In the wake of Hurricanes Katrina and Rita, the Labyrinth at Audubon Park was laid as a meditative journey meant to symbolize and facilitate healing for the people of New Orleans. 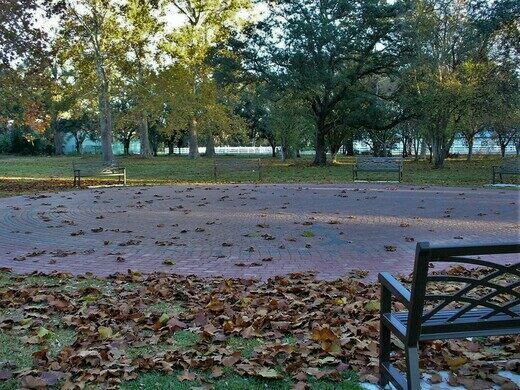 Audubon Park, a 350-acre haven in the Uptown neighborhood, was spared the storm’s flooding despite its location along the banks of the Mississippi. 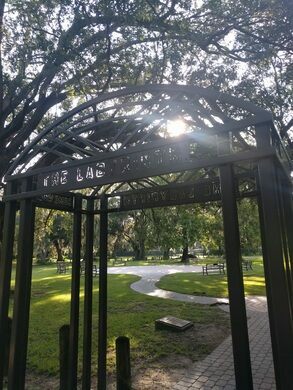 The park is home to some monumental southern live oaks (including the city’s iconic Tree of Life), and a few were blown down during Hurricane Katrina. 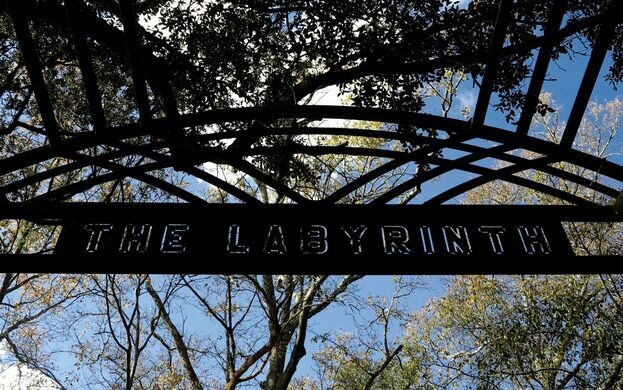 But the park didn’t suffer the ravages seen by other parts of the city, and its higher ground is now providing a home for New Orleans’ first permanent labyrinth. There are, in fact, two labyrinths, both designed and installed by stone artist Marty Kermeen. 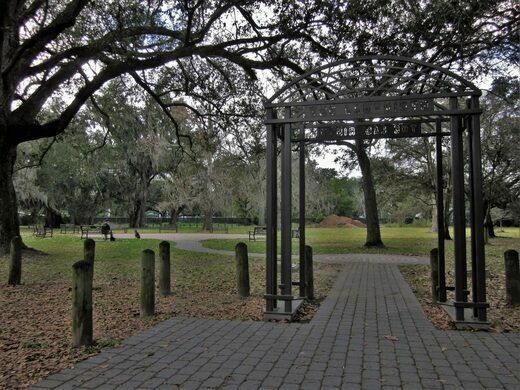 Located in the southeast corner of the park, they are connected by a brick path that begins with an entrance through a wrought iron trellis. The first labyrinth is smaller, following an ancient pattern called the Classical Seven Circuit that dates to 2000 B.C.E. 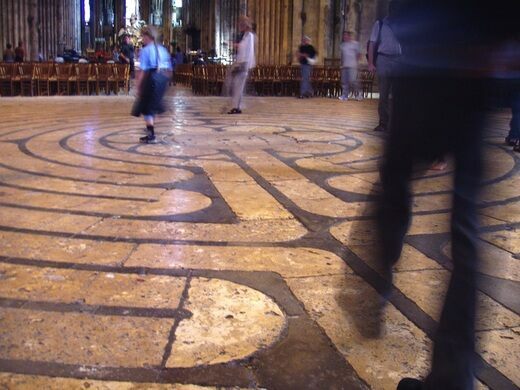 Follow the path to the central circle, and you’ve found yourself at a replica of the 13th-century French labyrinth of Chartres Cathedral, a UNESCO World Heritage site. 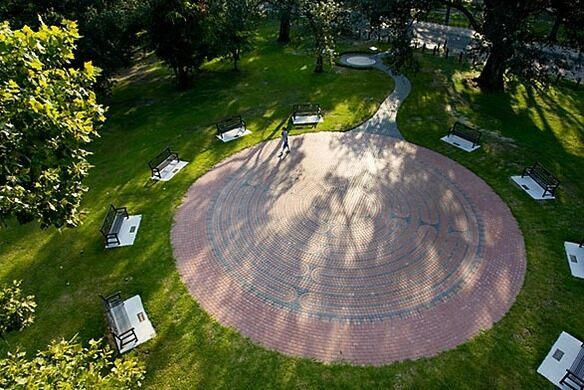 A walk of the labyrinth path is intended as a meditation journey, the design of the red brick walkway making it difficult to grasp what the next turn will be. Instead, you are meant to focus only on each step, and on what it means to take not just a winding route to your destination, but the most winding route. 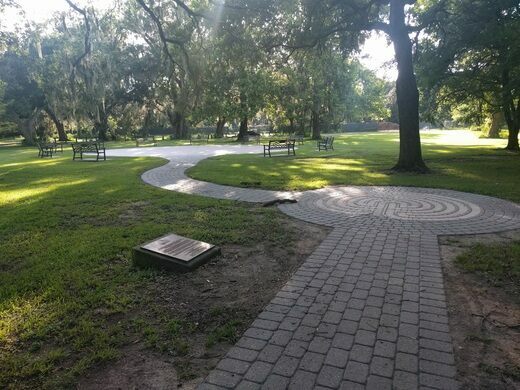 Audubon Park is in the Uptown neighborhood of New Orleans, and the Labyrinth entrance is just north of the Tree of Life, off East Drive at Laurel Street. 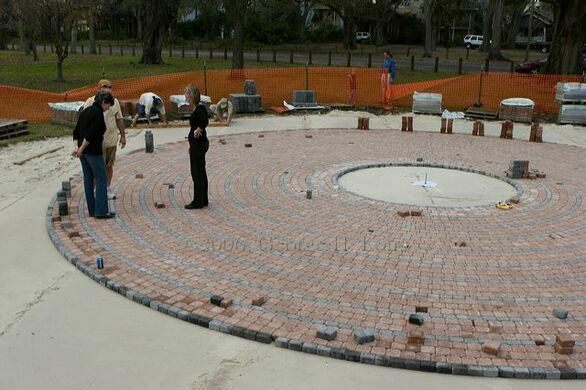 The Labyrinth was built and is supported by the non-profit Friends of The Labyrinth at Audubon Park. You can learn more about them, and their mission, by clicking the link to the right.